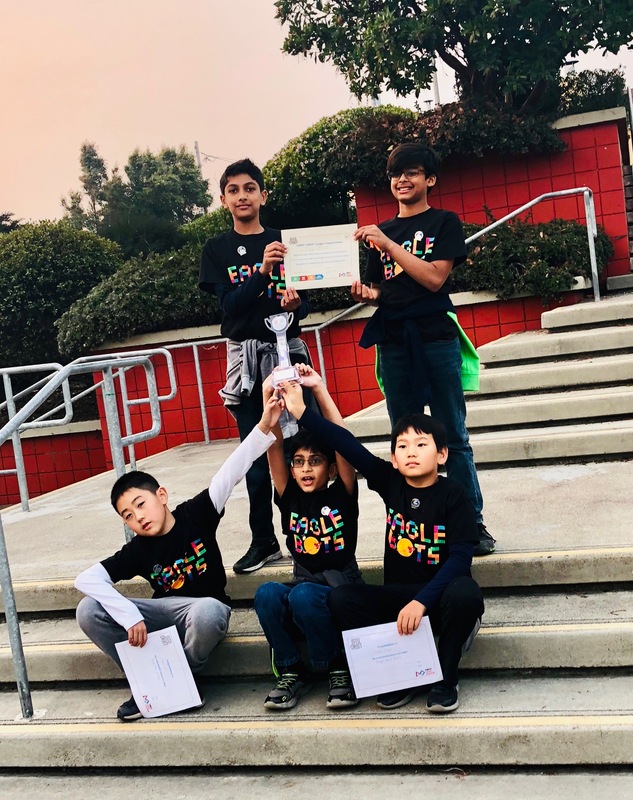 Fifth graders Farhan Ansari, Sahil Jain, Mihir Gupta, Daniel Wu and Jaden Chyan won the Robot Design Award at last month’s First Lego League Northern California Qualifier, held at Lowell High School. The win secured them a spot at the Northern California championship in January in Berkeley. Prior to the qualifier, the team had been hard at work redesigning their robot, adding two motors, two color sensor and a gyro sensor. “They made clever use of gears to build attachments for performing different tasks on the field and made their programs modular for ease of use,” said Farhan’s mother, Monica Ansari, who coaches the team along with Sonali Jain, Sahil’s mother. The team also put together a research project that delved into the link between astronauts’ emotional states and the foods they consume while in space, working with health science experts and scientists at NASA.